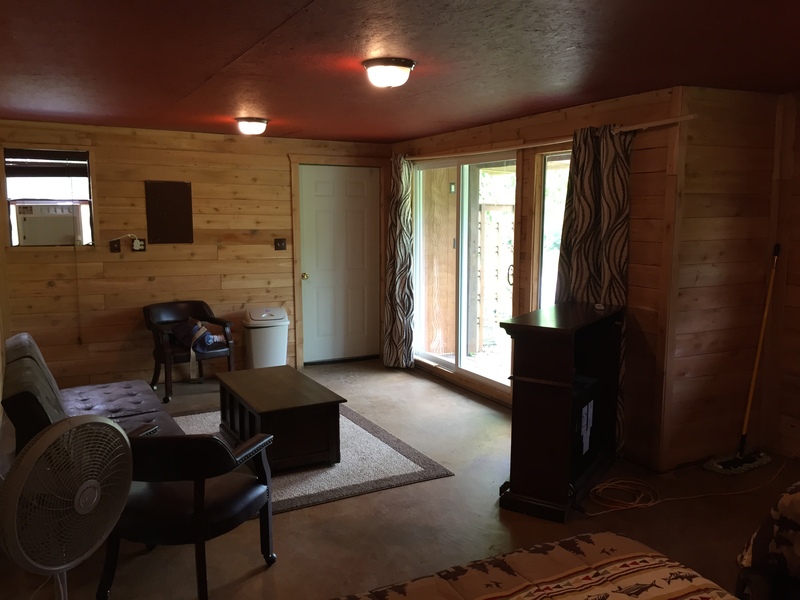 Our cozy cabins are great for those who want to experience the great outdoors, but don’t want to sleep in a tent. 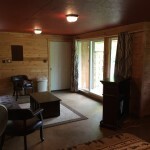 Whether you’re a couple looking for a romantic evening or a family that doesn’t want to worry about the weather, you’ll be able to enjoy the beauty of the river with some of the comforts of home.Each cabin has 2 queen size beds, a sleeper sofa or futon, a sitting area, microwave, small refrigerator, and a table inside. They have been decorated with hardwood floors and unique decorations to provide the “outdoors” feel from inside. They also have a picnic table, fire pit and grill outside. There is air conditioning, heat & electricity, but no plumbing. 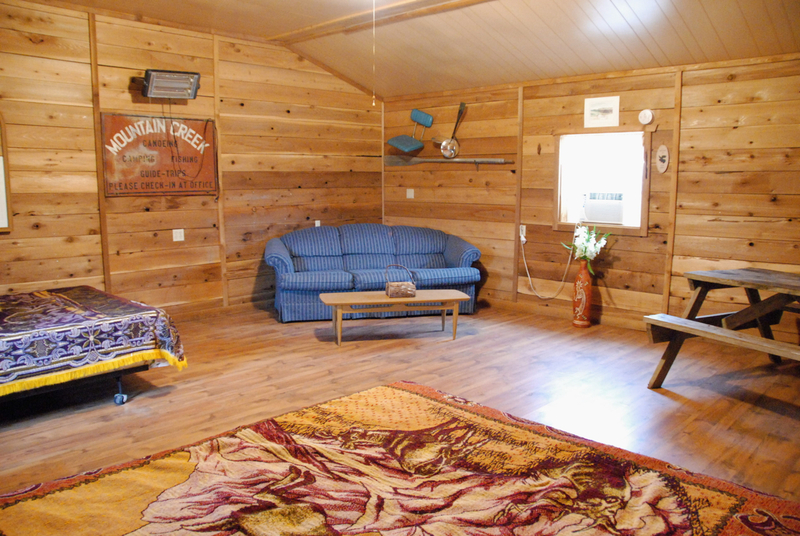 Guests have access to all of Mountain Creek’s conveniences including the modern shower house and restrooms.Although April-October is our busiest time of year, renting a cabin is a great way to get out of town and into the wilderness during the winter, too! Stay warm inside or around a campfire and sip hot cocoa while enjoying the beauty of the Ozark hills and river. 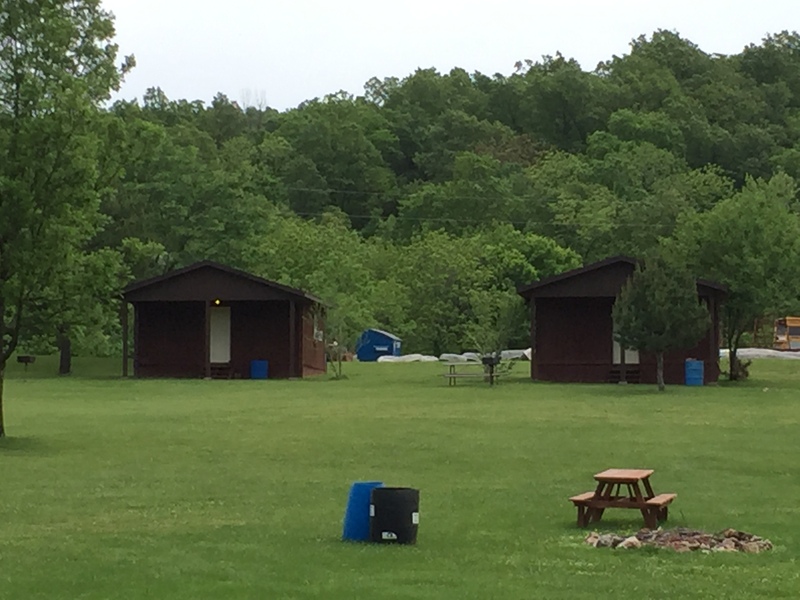 PLEASE call ahead to make reservations, and while you’re at it, ask about off-season rental prices.Fees and Deposits: Cabins are available for $70.00 plus tax Monday thru Thursday, $90.00 plus tax Friday, Saturday and Sunday; 2 night minimum on weekends for up to 6 people. Additional guests in the group will be charged camping fees. Because we do not have the road visibility that hotels do, we rely heavily on your commitment to the dates you reserve. Once you make a reservation, we begin turning other potential customers away. For this reason, we require a $45.00 per night deposit. The deposit confirms your reservation, and is refundable only in the event of a flood or if we are notified of a cancellation TEN DAYS BEFORE your reservation date. Prices are subject to change. We believe that children and adults alike need a safe place to enjoy the beauty of nature and aim to preserve this piece of nature as a fun, family resort for that purpose. To ensure that all campers, young and old, have an enjoyable vacation at Mountain Creek, we ask that everyone abide by a few, simple rules. 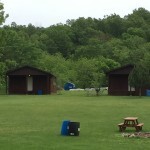 We, the owners, reside at the campground and are available 24 hours a day to assist guests. We do reserve the right to evict anyone who cannot respect the river, land or neighbor. No pets inside cabins.